Is Developing for the Source Engine Sacrilegious? Talk about the past and future of the Source Game Engine and Wall Worm development. You can import a DXF scene into Max. 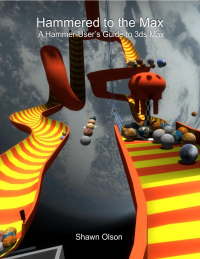 This allows you to transfer the basic level design from Hammer to Max. The story of building an island out of Worms. Not real worms silly! Wall Worms!